Heide M. Knapp, 76, of Binghamton, died on Tuesday April 3, 2018 at Lourdes Hospital. Heide was predeceased by her parents Agon and Anna Liessa) Laban; brother in law Bar Von Randow. Heide is survived by her loving husband of 52 years Wayne Knapp, her beloved sons Jason and Christopher; sister Ulla Von Randow; niece Josefine and husband Ulrich, and their three children David, Christian and Daniel. 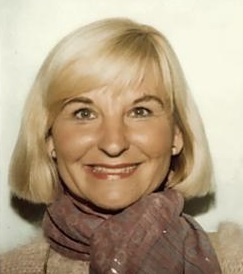 Heide graduated in Wurzburg, Germany and continued her education at the Royal Commercial Institute in Edinburgh, Scotland where she received an English diploma. Heide then went on to achieve a diploma from the Alliance Francaise in Paris, France. Heide loved the outdoors and being active, whether it was tennis, golf, skiing, swimming or playing platform tennis at the Binghamton Country Club. Most of all, Heide loved spending time with her family and friends. Heide carried a warm and radiant smile, cared immensely about the needs of others and always made time for everyone. The family would like to extend a special thanks to the doctors, nurses and staff at Lourdes Oncology Department. A memorial will be held in her honor on Wednesday, April 11, from 4-7 pm at the Binghamton Country Club, 1401 Robinson Hill Rd, Endwell, NY 13760. All are welcomed to come to remember a beautiful woman who will be greatly missed.